Here are first screenshots from one of my games. The game will be like Magic Carpet (if you know that old 1994 game, heh) spiced up with modern graphics and stuff. I haven’t decided on the name yet. 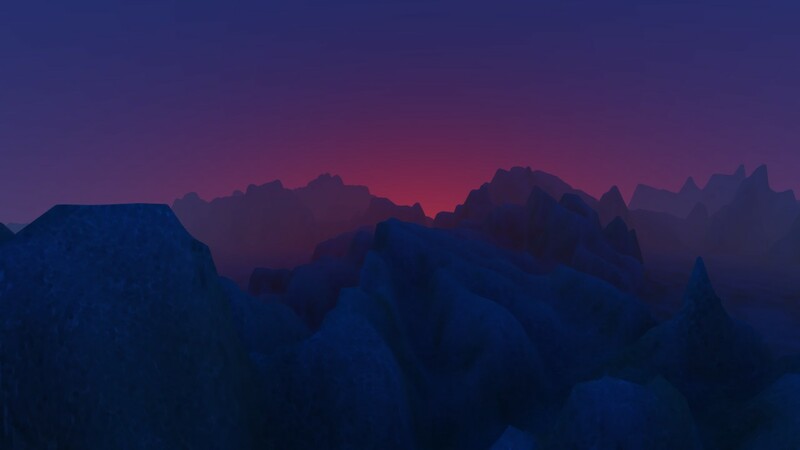 All you can see now is just a heightmap landscape with colors and shadows. Lighting and sky change dynamically with sun height. Stay tuned, more features coming soon. This entry was posted in Arcane Worlds and tagged Arcane Worlds, dev, screenshots. Bookmark the permalink. Both comments and trackbacks are currently closed. My good sir, I have no words to describe the beauty of this. The lightning is awesome! The mood is already here. Do not change that:) I saw your new spell system(water and fireballs) It is amazing! I have no idea how you achieved leveling water and how it is not affecting framerate in any visible way. Yer a wizard! Anyway, sorry for my english and I hope you will make this dream happen! I would really want to play this in its final form! I’m actually in the process of adding some objects right now. It’ll be some stones at first, and then some trees. It’ll need a lot of research for good lighting/shadows. The world is not infinite, but it’s wrapped around. 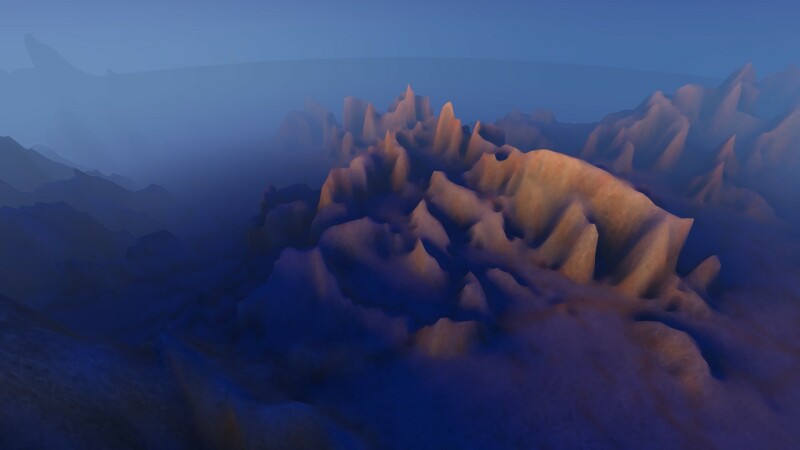 It’s rather small actually (256×256 heightmap), because larger world means more CPU-consuming water/lava simulation. Maybe you can do the map minecraft style, so saving it to chunks. And make islands of set max size, so you can always control the size of fluid simulation(don’t do on water ) Just a thought. I downloaded your demo, its stunning! I have no idea how did you did this fluid simulation. Going over all verts has to be heavy on the cpu. I also love your overal color style. 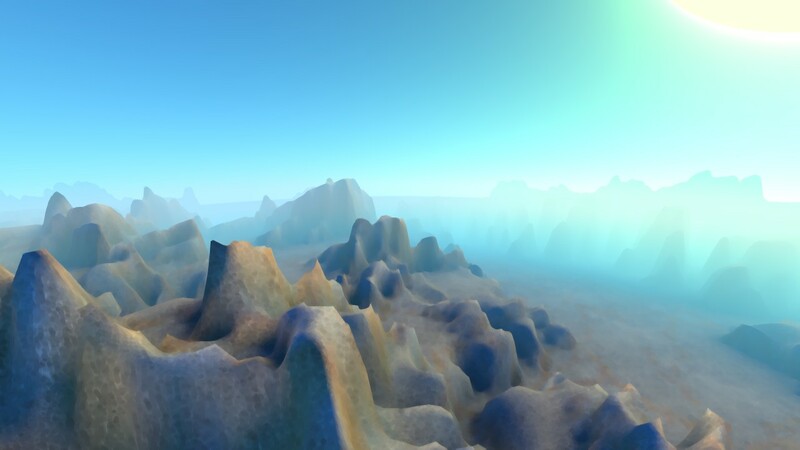 And the fog:) Is it done in the glsl(shader)? And the textures. I dont even know where to start to make something similar. Well, the water simulation is CPU-heavy. Can be optimized for multi-core CPUs though. 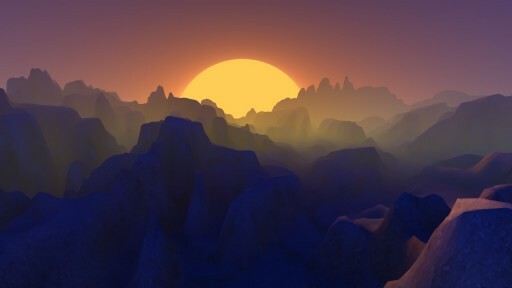 Yeah, it’s all shaders. You can find some info in the blog here. Also, paid version comes with HLSL shader sources that can be tweaked. There are only two textures now: the land detail texture is from a free texture library, and the water foam texture is generated with Filter Forge. The post-processing effect makes it look better than it actually is You can turn it off with F5 in the demo.